The CaPSPD Now program and CalState TEACH have collaborated to offer private school teachers an induction program leading to a California Clear Teaching Credential. This induction program concentrates the work on the mentoring relationship between the Coach and the Candidate. The Candidate develops an Individualize Learning Plan (ILP) with the help of the coach, then works on this plan for two school years. To make this program work, we need to have Induction Coaches and Induction Candidates. Principals can help identify staff who would like to train as an Induction Coach as well as identify teachers who already have their preliminary credential and are seeking their California Clear Credential. The Induction Coaches must attend a 2-day workshop to learn/hone their mentoring skills. Induction Coaches can be currently employed at your site, retired teachers, curriculum coaches or administrators. Induction Candidates will develop their ILP and implement it at their schools as a means of receiving their Clear Credential. Click here for the Induction Candidate requirements and application. 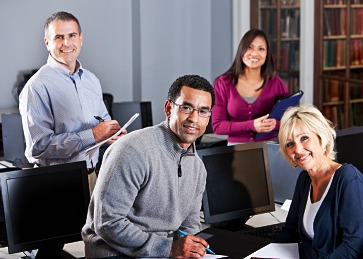 If you are interested in becoming an Induction Coach and receiving training to assist a fellow teacher obtain their California Clear Credential, please click here. If you are a teacher with a preliminary credential who is interested in obtaining your California Clear Credential, please click here.